Kinshasa is the beautiful and distinctive capital city of the Democratic Republic of Congo. Often overlooked by travellers in favour of more modern, developed travel destinations, this city will surprise and delight you with its vibrant culture and wildlife. With a population of over 11 million people, Kinshasa is the largest francophone urban area (surpassing even Paris). Cheap flights to Kinshasa are now available for a limited period of time, so prepare to feel moved by the beauty and warmth of this city! Kinshasa is home to N’djili International Airport (FIH), which is located one and a half hours from Kinshasa by car. 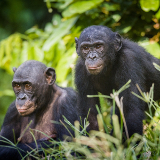 Kinshasa is home to the only Bonobo sanctuary in the entire world. 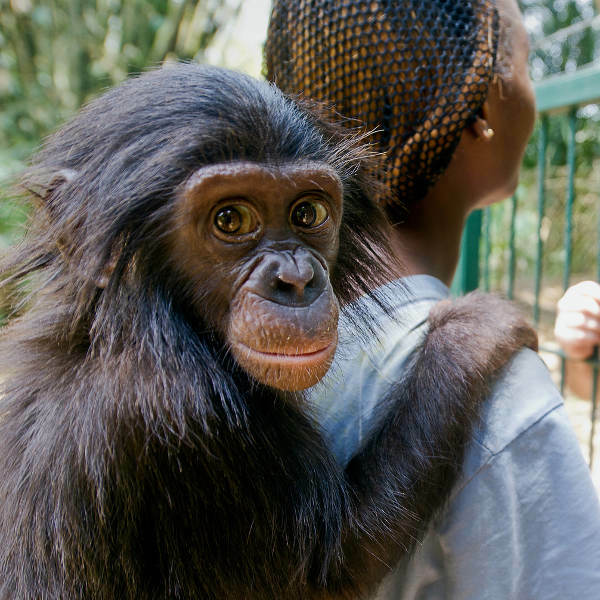 Animal and nature devotees will love getting close to these gentle primates and learning more about their endangered habitat. 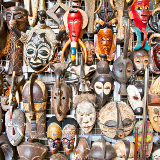 Two major museums can be found in Kinshasa: The Musee National de Kinshasa and the Kinshasa University Museum, which both display historical and cultural collections of the indigenous peoples of Congo. 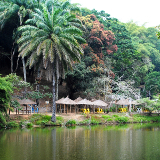 Kinshasa offers some fantastic outdoor activities for adventurous visitors and adrenaline junkies. 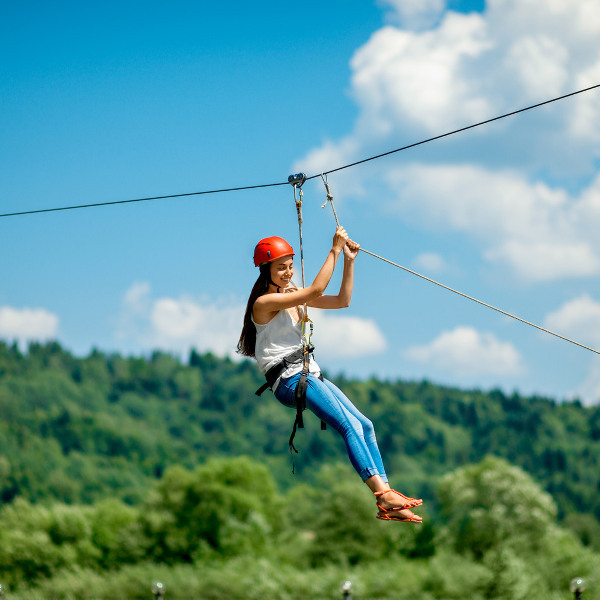 Lac de ma Vallee is an outdoor adventure park offering zip-lining, kayaking as well as walking and hiking trails. DRC utilises types C, D and E plug sockets, and operates on a 220V supply voltage and 50Hz. DRC experiences a tropical climate and is bisected by the equator, resulting in different climate patterns in the north and south. Kinshasa, located south of the equator, experiences dry winters between June and September. This is usually the best time to visit as there minimal rainfall and the temperatures are moderate, making it ideal for outdoor exploring and activities. Kinshasa should generally be avoided during its rainy, summer season between October and March. During this time heavy rainfall, in addition to high temperatures and humidity, can negatively impact holiday enjoyment. A city desperate to escape the negative connotations of its troubled past, Kinshasa is ready and waiting to show the world all it has to offer. With a vibrant and friendly population of over 10 million people, the city is the third largest in Africa, and is also the only capital city in the world to directly face another capital- Brazzaville in neighbouring Congo. Although Kinshasa is not a city known for its architecture or historical landmarks, it buzzes with the infectious energy of its people, who are always thrilled to welcome visitors. For quirky gifts and souvenirs be sure to visit the Marché du Art, a lively marketplace selling unique art, crafts and knick-knacks. 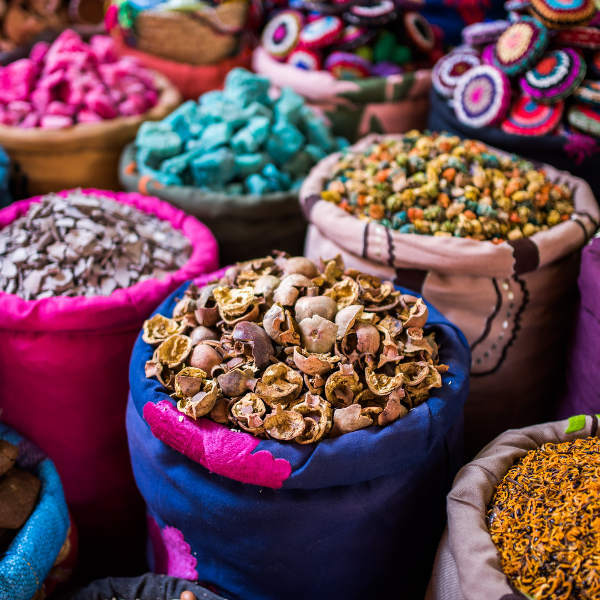 The Marche Central Market is one of Africa’s largest marketplaces offering freshly prepared Congolese dishes, traditional clothing, and a host of other goods offered at bargain prices. Compare several airlines and book your cheap flights to Kinshasa online at Travelstart! It is advisable to pack lightly and simply when travelling to Kinshasa. Pack comfortable clothes and shoes to wear. Avoid walking around displaying visibly valuable items such as expensive clothes, jewellery and cameras. Purchase a travel purse/pack for storing cash that can be worn underneath a shirt. Do not take pictures of borders, or military centres and personnel. This could create suspicion on the part of local police and law enforcement. When walking around the city, stick to the main streets. It is not safe to walk the city at night. Speak to the staff at your hotel about taxi and shuttle services offered. Yellow Fever vaccinations are compulsory before travelling to DRC as well as Cholera vaccinations, more recently. Other suggested (non-compulsory) vaccinations include hepatitis A, polio, meningitis, tetanus and typhoid. For safety concerns, when staying in Kinshasa, it is ideal to stay in an upmarket area. Avoid staying in accommodation located in sparsely populated and lower-income areas. Most of the accommodation facilities in these areas have good security features, such as cameras and room safes. Gombe is Kinshasa’s financial and business district, and is the location of some of Kinshasa’s finest hotels. Unfortunately public transport systems in Kinshasa have been subjected to extreme neglect by the government for many years. Despite recently being donated brand new buses from the United States, most commuters still resort to the archaic and run-down buses that are a staple on the city’s roads. Water ferries running up and down the Congo River are also available. The train is extremely unreliable, and should be avoided for convenience and safety’s sake. The most efficient method of public transport are meter-fare taxis, but be sure to negotiate an agreed price before you decide to get in- and always bargain down, as taxi drivers sometimes try to overcharge tourists. Car rental is also an option, and hotels often offer car hiring services to guests.